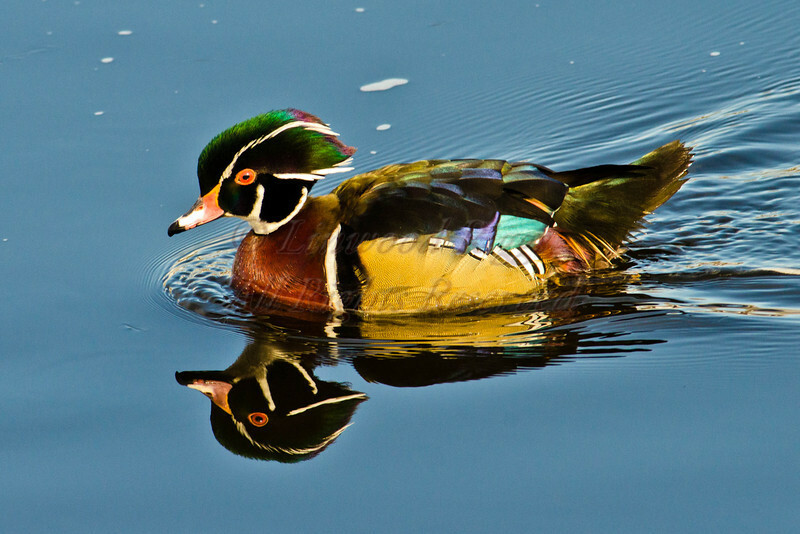 A Wood Duck swims in Kennebec River in Gardiner, Maine. Thanks, Robin. This bird was swimming in the Kennebec at Gardiner last winter. I know it looks like I jazzed up the colors with Photoshop, but I really didn't need to - -it was really this colorful in the bright winter sun.